Finally, the moment we have been waiting for is here. 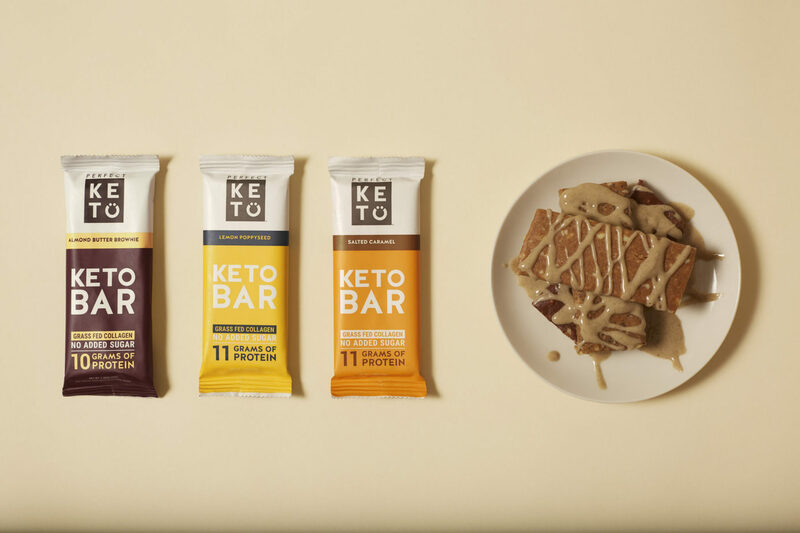 Two new Keto Bars flavors have arrived. We have partnered with Perfect Keto to get you a discount of up to 40%! The two new flavors are Lemon Poppyseed and Salted Carmel. Thanks to my partnership with Perfect Keto I was able to get my hands on them a week early and they are delicious. I am partial to the Lemon Poppyseed as I have been taking one with me to my office every morning, but the Salted Carmel bars will not go to waste, believe me. Perfect Keto has really outdone themselves with their two new flavors. Everything out there claims to be “keto” these days. These bars are as keto as it gets. They will not spike your blood sugar and you absolutely will stay in ketosis after eating them. All you have to do is click here to take advantage of it. When you order through our link we will be paid a commission. This comes at no extra cost to you. In fact, you get a discount for the product because you used our link. Meet your new best friend when you’re having a busy day and don’t have time to whip up a keto-friendly meal. When I’m leaving the house for a busy day I always make sure to throw one of these in my bag. Whether you are looking for a sweet treat after a meal or just a delicious, keto-friendly snack to hold you over until your next meal, they are a great option. There is no sugar or anything fake in these bars. Alright, we’re done ranting about how great they are. Click here to get your special offer on Keto Bars today!